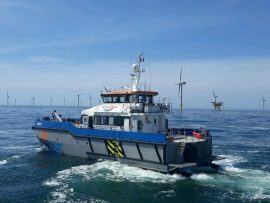 Satellite communications provider NSSLGlobal has signed a three-year contract with offshore support vessel provider Wind Energy Marine. 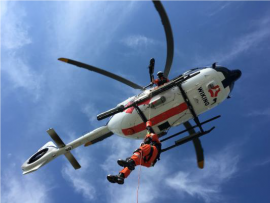 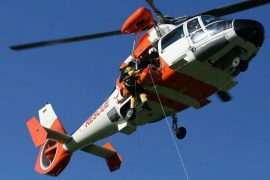 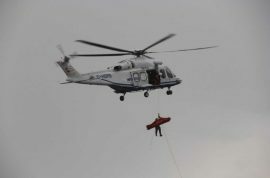 Wiking Helikopter Service has won a multi-year contract to provide Helicopter Emergency Medical Services (HEMS) on BARD Offshore I, Butendiek, Nordergründe and Veja Mate offshore wind farms located in the German North Sea. 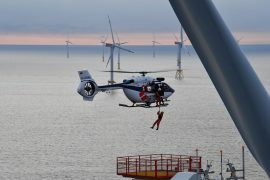 Airbus Helicopters views the support for wind farms as a business segment that is undergoing global growth and expects demand for up to a thousand helicopters over the coming two decades, corresponding to revenues of approximately EUR 9 billion. 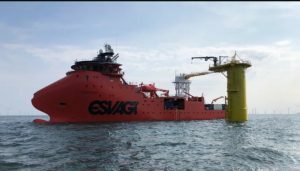 Naval Energies has decided to stop investing in tidal energy, a market said to be in the process of closing, and focus on floating offshore wind, as well as ocean thermal energy conversion. 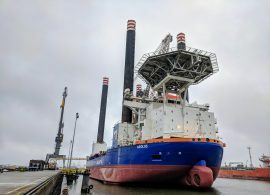 Van Oord’s vessel Aeolus has been outfitted with an aluminium helideck from Bayards Aluminium Constructions, as part of the modification of the vessel that started last year. 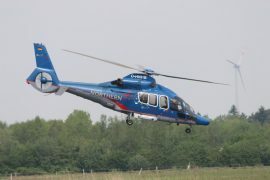 The Germany-based helicopter operator Northern HeliCopter GmbH (NHC) has expanded its fleet with another Airbus H155 B1 helicopter, which will be used for transport to offshore installations, including wind farms. 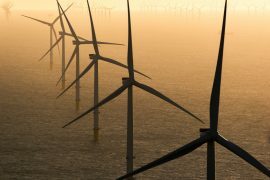 Power cable services provider CWind has signed a five-year cable repair framework agreement with Transmission Capital Partners (TCP). 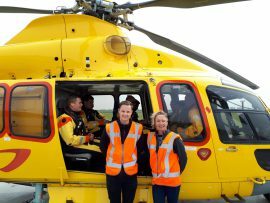 On 24 April, NHV’s helicopter carrying passengers from Van Oord to the UK East Anglia ONE offshore wind farm took off from Peterson’s newly opened helicopter passenger terminal at Zeeland Airport in the Netherlands and thus marked the operational launch of the terminal. 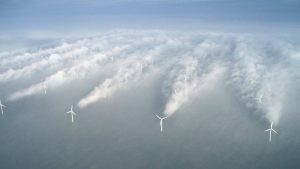 The Environmental Hydraulics Institute of Cantabria (IHCantabria) is carrying out an experiment campaign to evaluate the performance of different scour protection solutions on jacket foundations at the 714MW East Anglia ONE offshore wind farm. 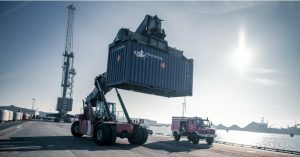 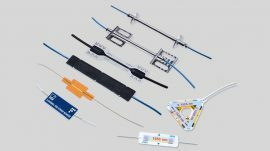 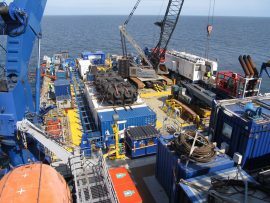 HBM, a supplier of foundation monitoring systems including both resistive and fiber-optical strain gauges, has weighed the technical advantages and costs of both technologies, ultimately advocating the use of fiber-optical strain gauges on offshore wind foundations. 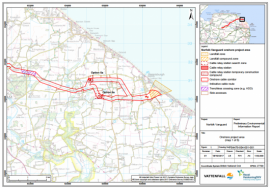 A Cable Relay Station (CRS) for the Norfolk Vanguard project could turn out to be a stumbling stone for Vattenfall’s proposed HVAC option, as North Norfolk District Council pointed to this part of the proposal as the one to be further examined, a little after Happisburgh residents voiced their concerns over this onshore solution at Vattenfall’s consultation session mid-November. 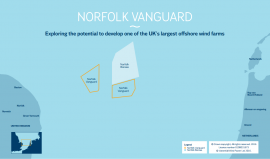 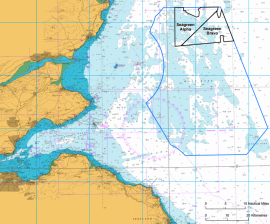 Vattenfall is looking at using wind turbines with a capacity of between 7MW and 20MW at its proposed 1,800MW Norfolk Vanguard offshore wind farm in the UK. 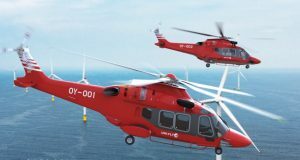 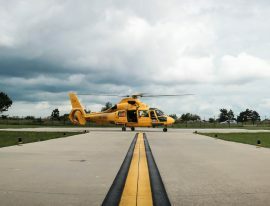 Iberdrola has awarded Emden-based Northern HeliCopter GmbH (NHC) with a six-year contract for transport flights to the Wikinger offshore wind farm. 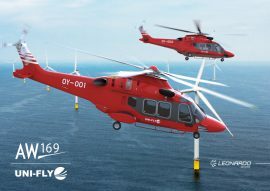 Leonardo has signed a contract with Danish company Uni-Fly for two AgustaWestland AW169 light intermediate twin engine helicopters, which will perform offshore wind farm support operations for DONG Energy at Hornsea Project One in the UK.